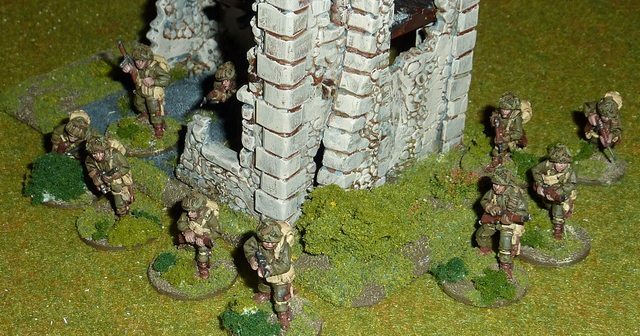 NagoyaHammer.com • View topic - Prim's Bolt Action Armies. 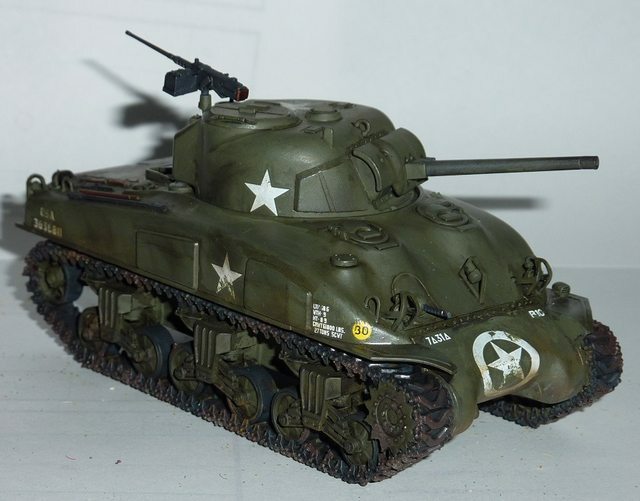 This forum is for you to show off your finished minis. May have to pop round to yours so my Germans can have another pop at your Yanks! 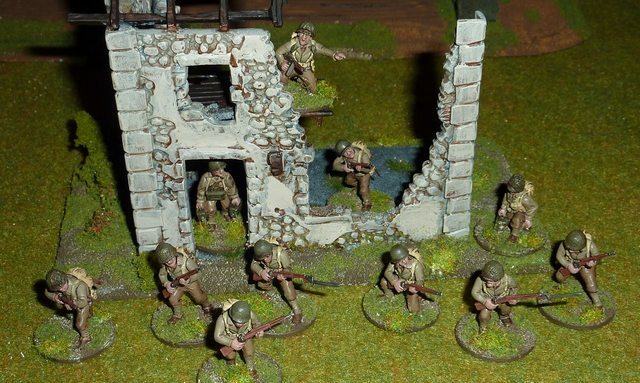 Re: Prim's Bolt Action Armies. 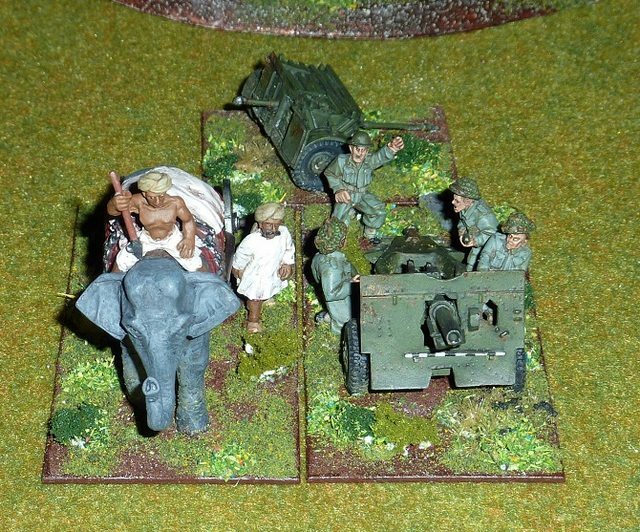 These miniatures will represent the 1st Battalion, Sikh Light Infantry, part of the 99th Indian Infantry Brigade, 17th Infantry Division during the Battle of Meiktila. The Tank is from 4 Troop, Indian 5th (Probyn's) Horse, 255th Indian Tank Brigade, present at the same battle. 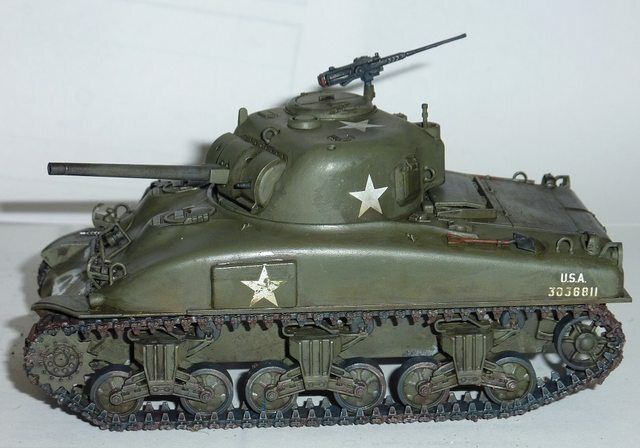 Technically it should be a Sherman V, but I did not have one available, so an earlier version will have to stand in for now. First of all, the infantry. 30 Sikhs in British service. And the accompanying small teams. 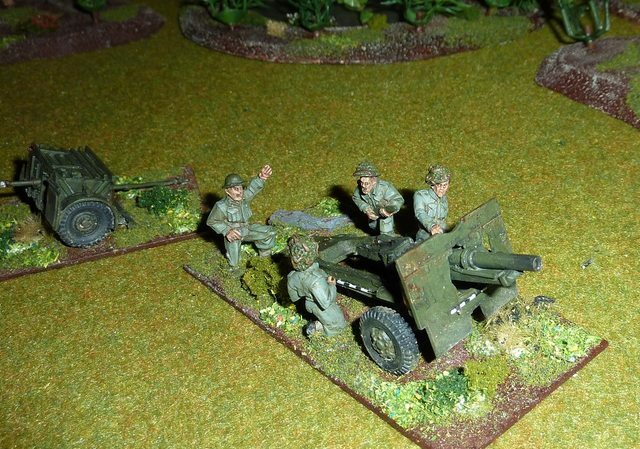 Close ups of the Indians, from left to right a Light Mortar, A PIAT and a Lieutenant. 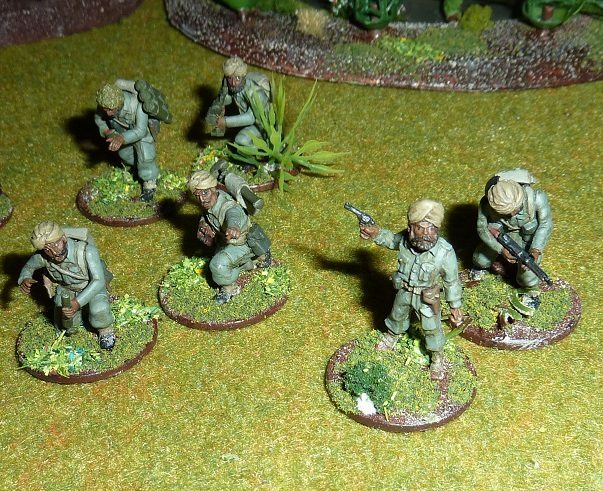 Close ups of the British, clockwise from front middle, Medic, Sniper, Observers, Captain. 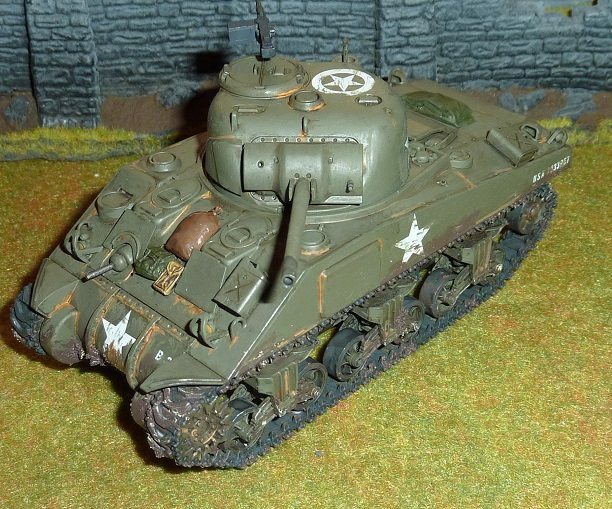 And the artillery (25 pounder), it's limber and it's tow. 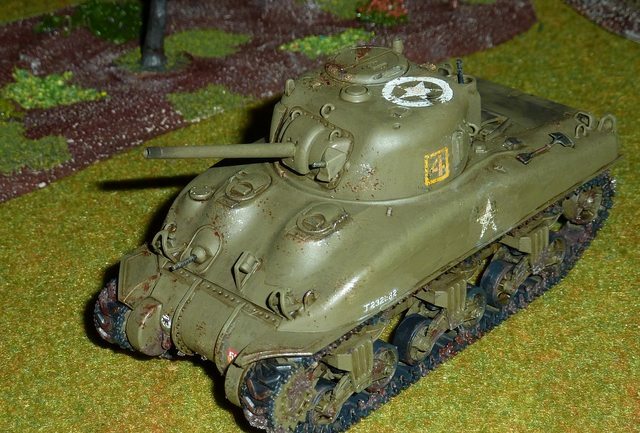 And a close up of my favourite model in the army. Nice work! The elephant is awesome! YellowStreak wrote: Nice work! The elephant is awesome! Thanks. 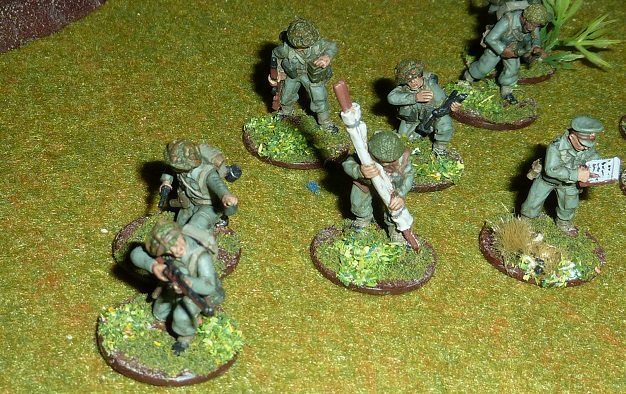 Now you need to get your Japanese army finished off. Nice work Prim. What did you use for the Sikhs? Warlord bodies and separate metal heads? @Yellowstreak: There are now several armies waiting to take on your IJA. Hurry up! Mike the Pike wrote: Nice work Prim. What did you use for the Sikhs? Warlord bodies and separate metal heads? 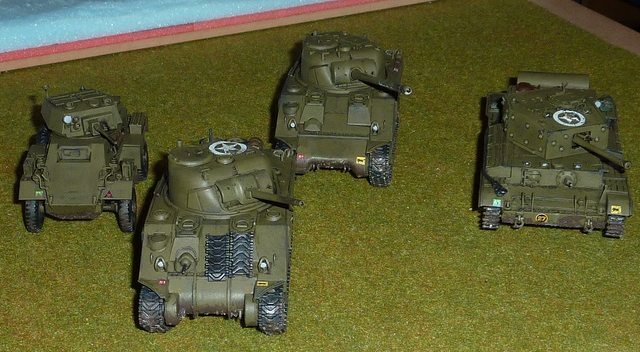 I bought 24 metal heads from Warlord and attached them to plastic British bodies. I also got about a dozen or so Sikhs from Artizan Designs to bulk up the numbers and add some variety. 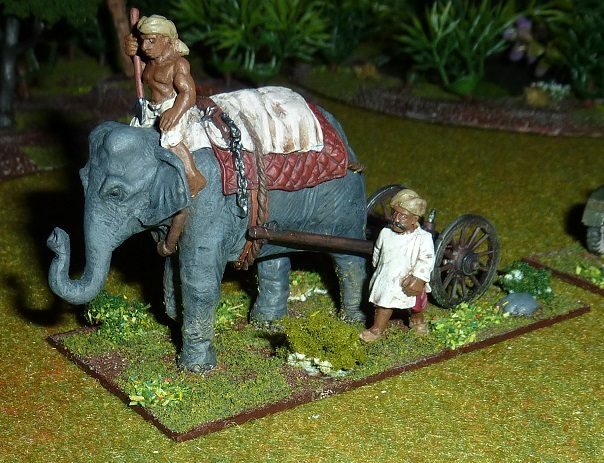 The Elephant is from Foundry. 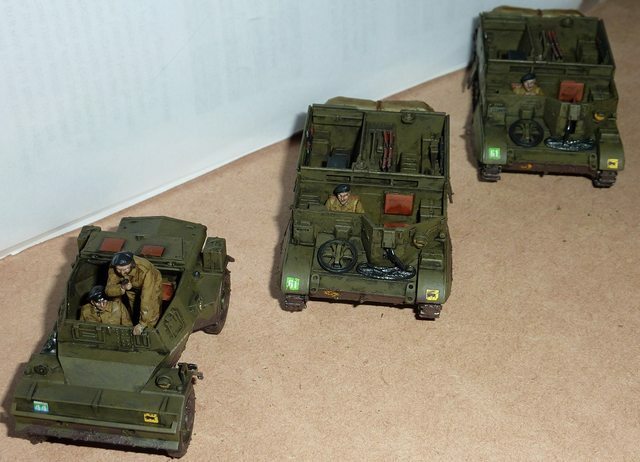 Some more stuff for the Western Front, a Dingo and two Bren Carriers from the British 11th Armoured Division.